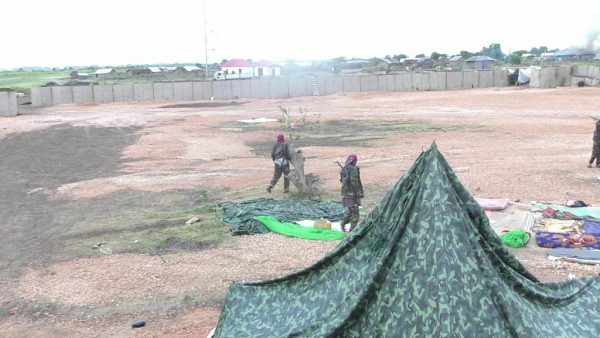 Following an intense battle yesterday at the joint US-Somali-Kenyan base near Bar-Sanguuni in southern Somalia, Shabaab has released photos claiming to show its fighters within the base. 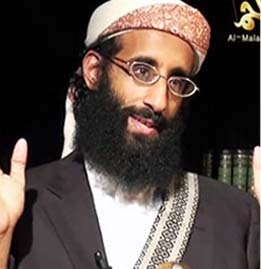 The photos were first uploaded to its Radio al Furqan website before being republished at more unofficial sites, like Somali Memo and its Shahada News Agency. 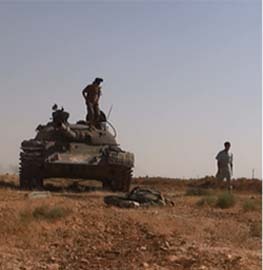 The al Qaeda branch purported to show its militants walking freely within the base. 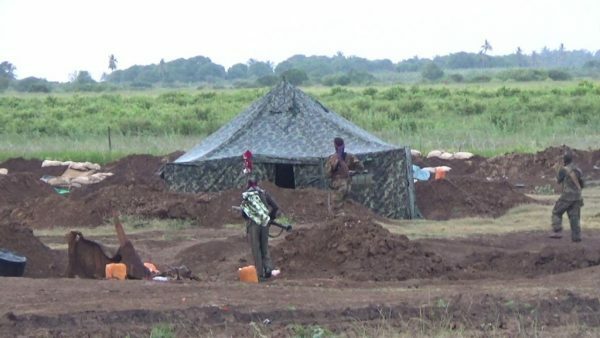 If the photos are legitimate, Shabaab was able to firmly control the base prior to withdrawing yesterday. 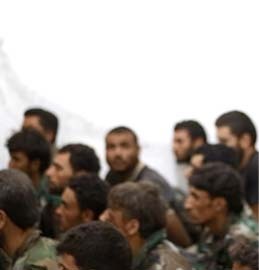 However, based on the photos, it appears that the base had a minimal troop presence at the time of the jihadist assault. 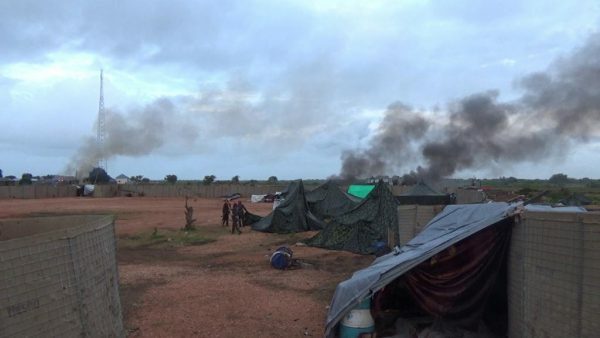 It is unlikely that American or even Kenyan troops were occupying the base when Shabaab attacked. 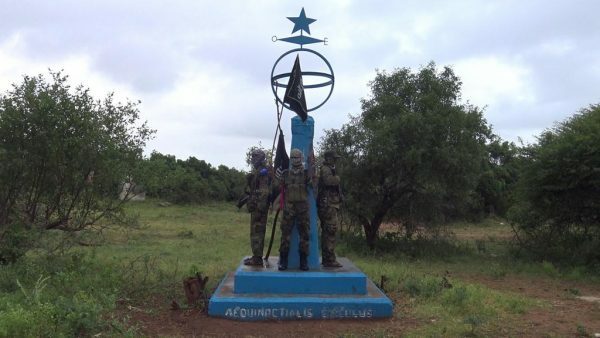 The photos do appear to show Sanguuni, as Shabaab released a photo of some of its fighters posing with one of the town’s equator monuments. 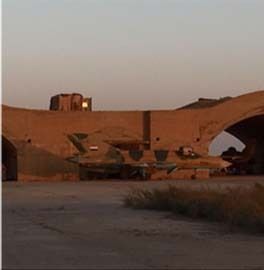 The base and its surroundings also appear to match photos of the base previously released by the Somali military. 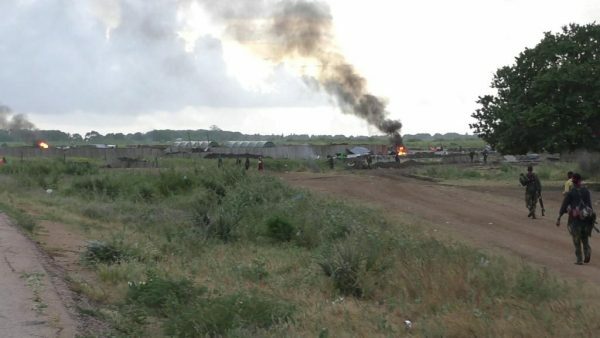 Yesterday, two suicide truck bombs detonated near the base perimeter just outside of the town of Bar-Sanguuni near the port city of Kismayo. 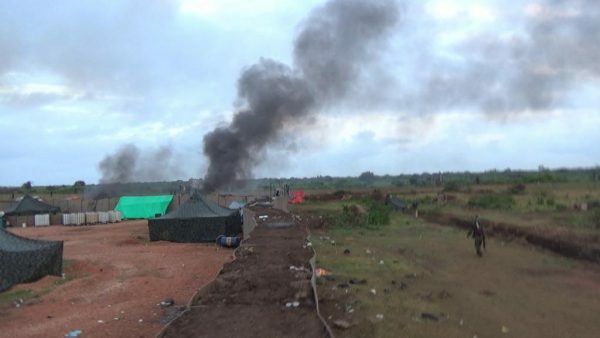 A fierce firefight then ensued following the explosion, as the militants attempted to fight their way into the base. 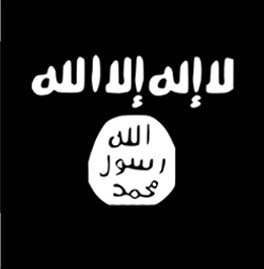 Somali officials said that 100 militants were involved in the attack and that 87 of them were killed. 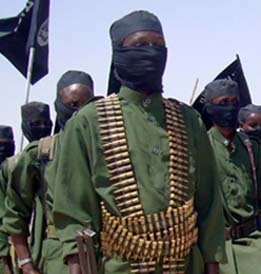 If Shabaab’s photos are indeed confirmed, Somalia severely downplayed the situation and reported false numbers. Shabaab claimed to have killed nearly 30 Somali soldiers in the assault, but no photos of bodies were released by the jihadist group. It is possible that this number is also inflated. An accurate casualty number has so far been hard to verify, however, independent news sources put the number at 12 soldiers killed. The joint Somali-Kenyan-US base in Bar-Sanguuni is the same base in which a US Special Forces soldier was killed in early June. The base was targeted a day later with a suicide truck bomb, but that assault was repulsed.